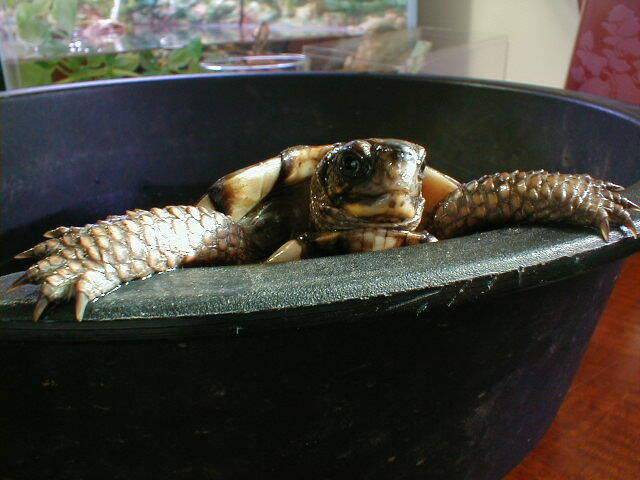 Keeping pet turtles is different from keeping specimens. Specimens are animals you house while pets are animals you have relationships with. 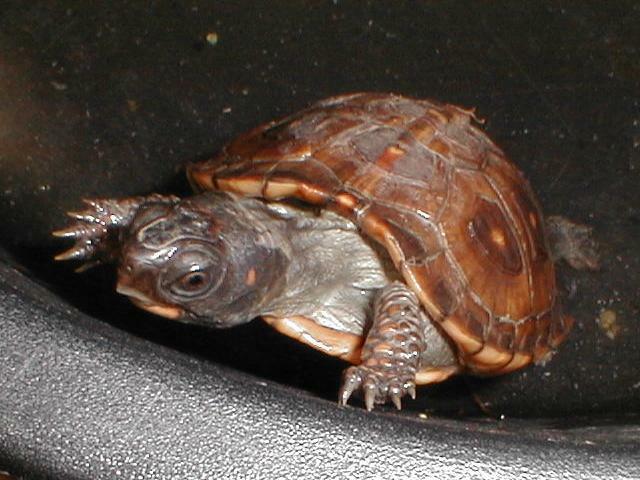 Some turtles like their owners and some would rather be left alone. 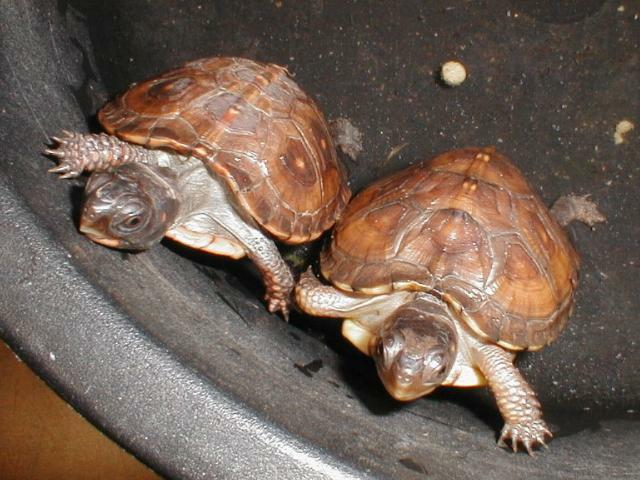 Turtles have enough intelligence to have relationships with their owners so we choose to develop relationships. 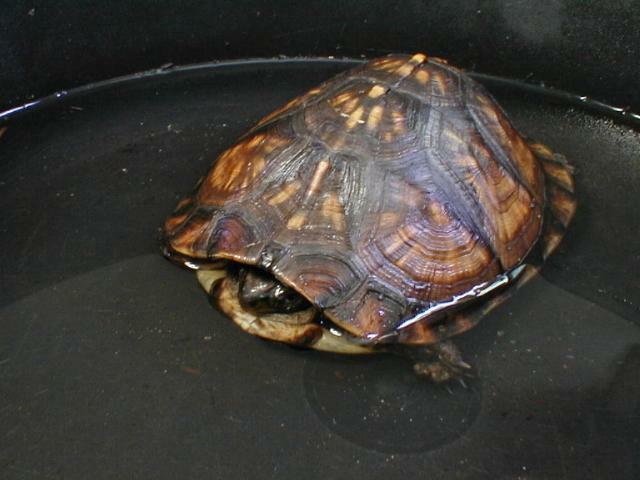 Like most pet turtle owners, we like to see active turtles with big appetites. 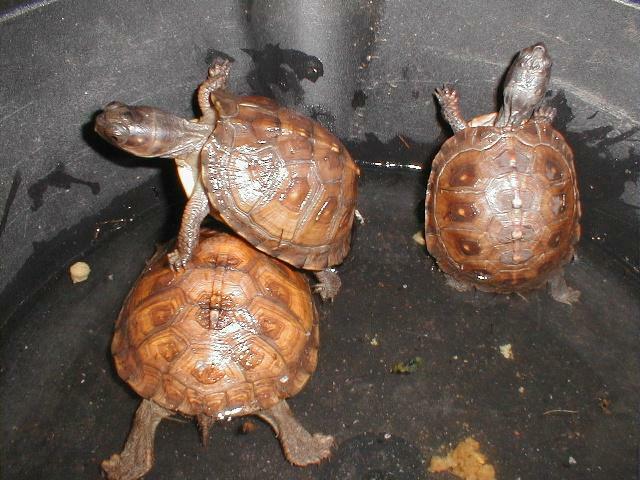 That's generally not a problem with water turtles. They are active and adapt to our schedules easily. 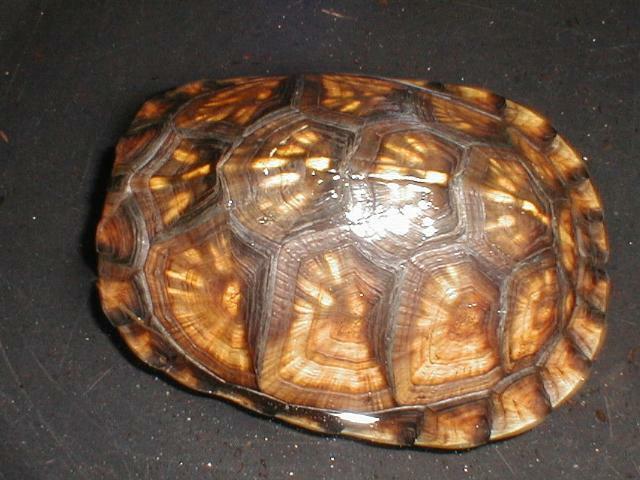 Box turtles are active at times but sit quietly most of the time. Their periods of activity generally do not match our time schedules. 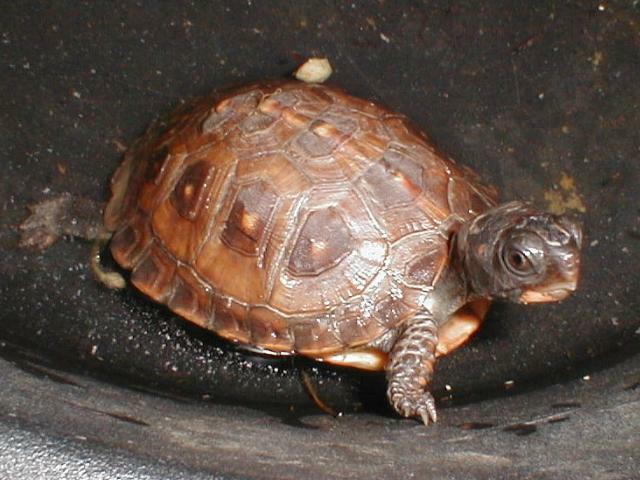 One activity we practice with our box turtles helps us observe their health by increasing their activity while we have time to be with them. 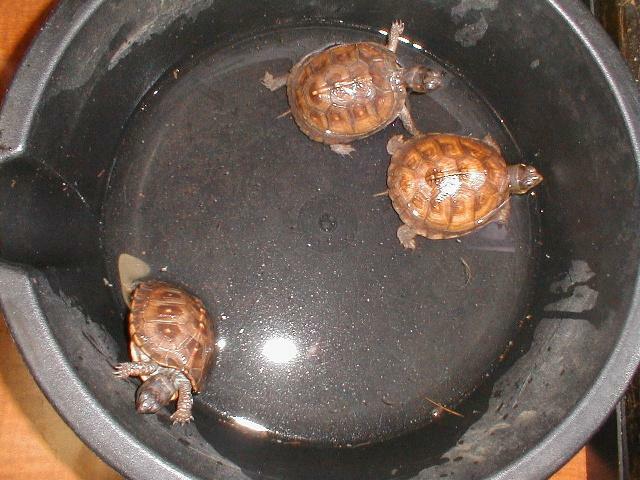 We like to give them a soak in the tub. 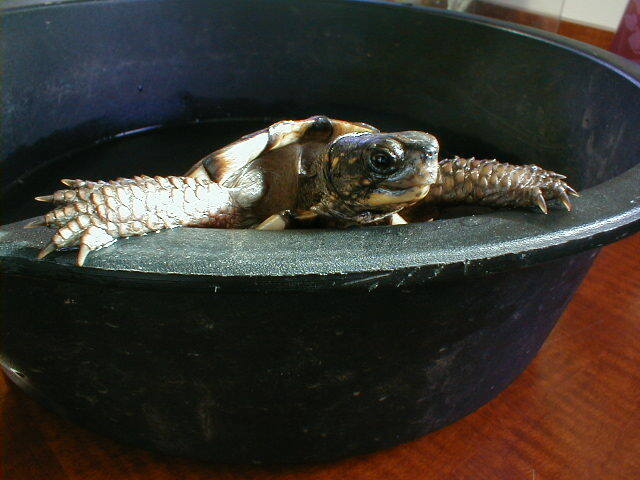 Any plastic bowl or a utility sink will do provided it is only used for turtles (no soap or cleaners). We place them in warm water about as deep as they are tall. The water temperature is 5 to 10 degrees warmer than their ambient temperature to increase their activity level when their ambient temperature is low. Of course the water also wakes them up. They drink and defecate; both good activities. They also wash their eyes and move about. Ten to 30 minutes is good. Generally we will see signs of ill health if it exists while they are soaking. 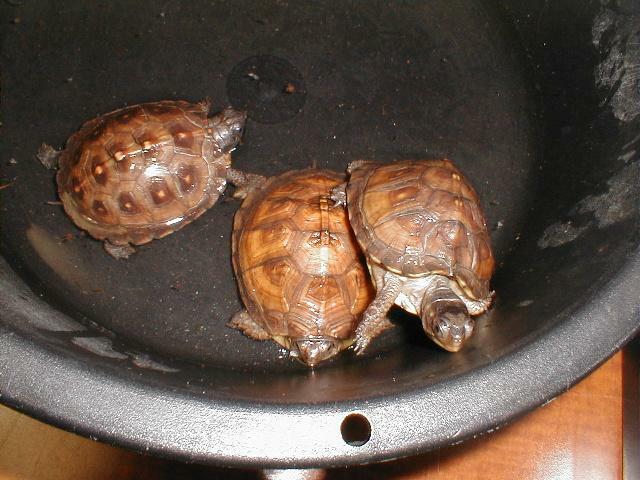 After the soak, they are fed. For us it is also a good time to take pictures. Of course we talk to them and handle them while they are clean. 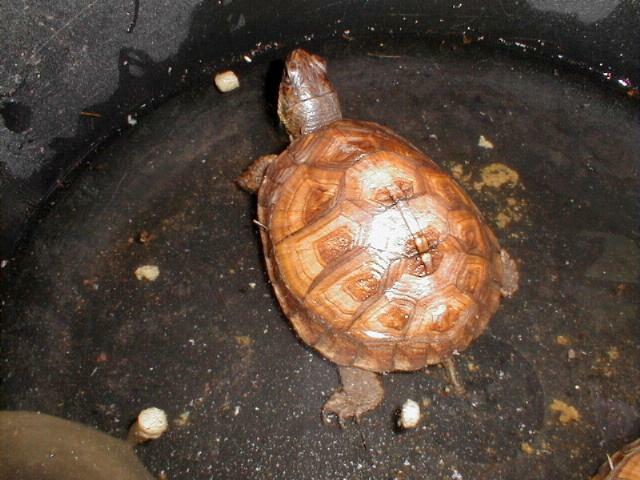 Turtles that like to eat a lot may also get a special treat at this time. 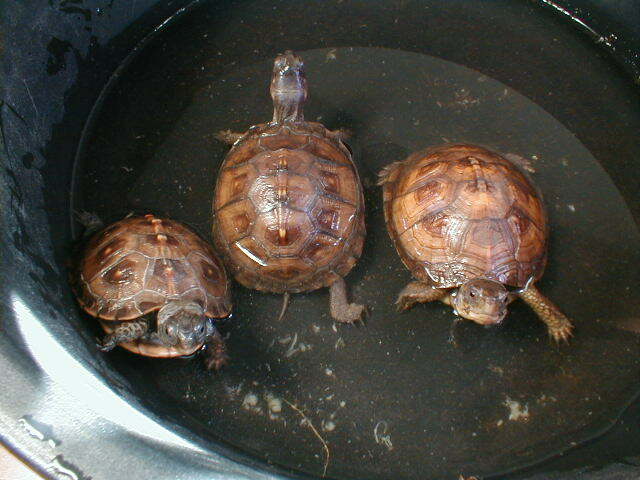 Bigger turtles also get baths too! 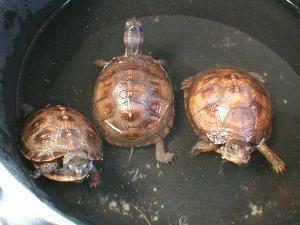 We would not go so far as to say any turtle looks forward to its soaks. Some do appear to enjoy it. 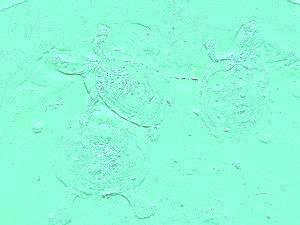 We mainly do it because it helps us spot health problems that may otherwise go unnoticed because sick turtles usually hide. We want to see clear open eyes. We enjoy playing with them too. We strongly recommend this simple practice once a week especially during winter months in the house. We hope you enjoyed our fourth behind-the-scenes tour. Come back again.